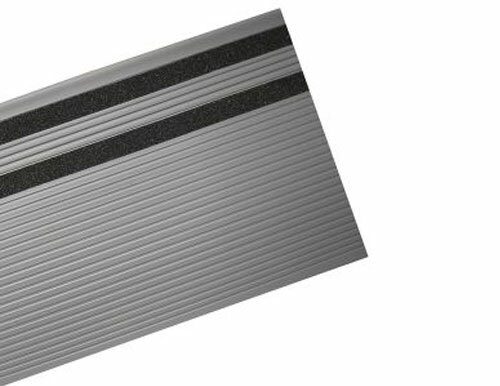 Our grit strip general stair treads are a great solution when you need slip-resistant flooring that is safe and attractive. This grey general design has a grit strip inlaid in the tread for additional safety and secure footing. Highly resistant to soil and stains, our vinyl stair treads are easy to maintain and clean. At Sure-Foot, we know safety is your main concern, so all our stair treads exceed ADA recommendations for slip resistance. Typical installations include industrial, commercial and institutional buildings.